700 MIDI drum loops of varying styles, tempos and feels...a perfect collection for songwriters, producers and musicians looking for an extensive set of drum patterns. 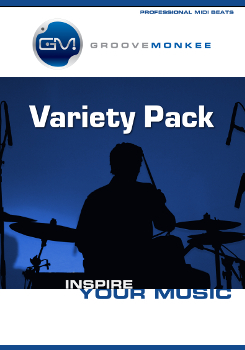 This is a massive collection of grooves and matching fills covering 11 genres from Blues to Metal. Tempos ranging from 68 BPM to 200 BPM. Slow - Halftime - Midtempo - Uptempo. 4/4, 6/8 and 12/8 in straight or shuffle feels. African, Waltz, Bossa, Samba, Swing, Shuffles, Train and much more. Blues, Country, Electronic, Funk, Hip Hop, Jazz, Metal, Pop, R&B, Rock & World. Works with all MIDI-compatible software. Our products are mapped and formatted to work with all major drum software such as Addictive Drums, BFD, EZdrummer, Steven Slate Drums, Studio Drummer, Superior Drummer and more. View our product info & reviews here and mapping information here.